Enjoy this new, fun feature for every team in the Madlax Program. Click on your specific Team Page above. I hope these team pages make your season more enjoyable and links parents, players, coaches and fans together easier. Madlax staff does not typically add or edit this team page. It is for parents and players. Team Managers have been granted edit control so send them pictures, videos, stats, etc and they can upload for your team. Anyone can add posts to the site. We encourage every team to add their rosters, practice and game schedule and write re-caps of each game. 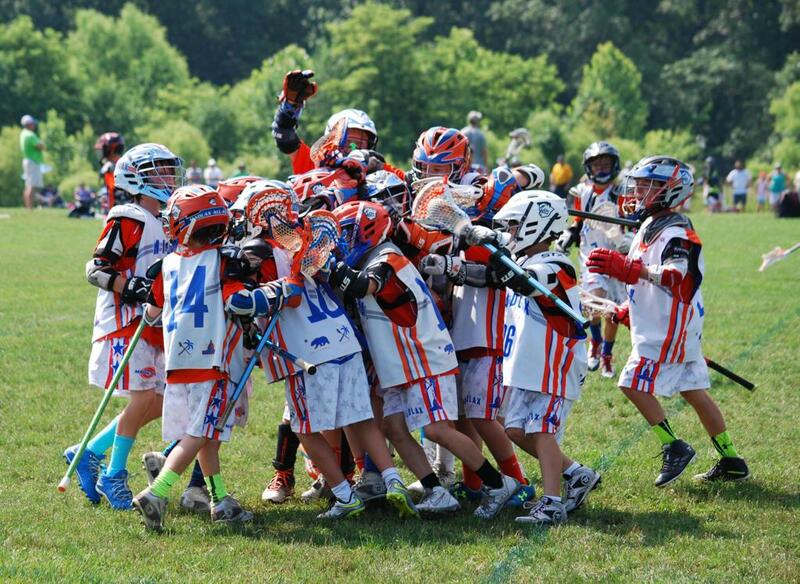 A Madlax Team Celebrating a Championship! EVERYTHING FOR YOUR SON OR DAUGHTER; practices, games, tournament with all details are posted on the Calendar & mobile APP for your team. We update it almost daily. We strongly encourage you to follow your sons or daughters team(s) using both of these features. SportsEngine, SE, our website host company, provides Madlax a FREE, robust and cool mobile APP to Madlax families. Be sure to download the APP on your phones and follow your sons or daughters team! From your IPhone or Google Play Store simply search for SportsEngine. After installing the APP be sure follow your sons or daughters team. Be sure to turn on notifications and alerts so you are made aware of all updates! From your main desktop computer, you should copy the ICAL URL below (beginning with word webcal....) for the specific team that you want to follow. Then paste it to your google calendar or MAC Calendar. If your phone is linked to your desktop which it likely is already, you will get the team schedule on your IPhone or android phone calendar. Then all updates will happen automatically when we make changes. ATTN: 2nd-8th Grade Boys and Girl. REGISTER NOW! Registration OPEN for Boys in 4th-12th grades from All Clubs & Teams! ©2019 MADLAX / SportsEngine. All Rights Reserved.